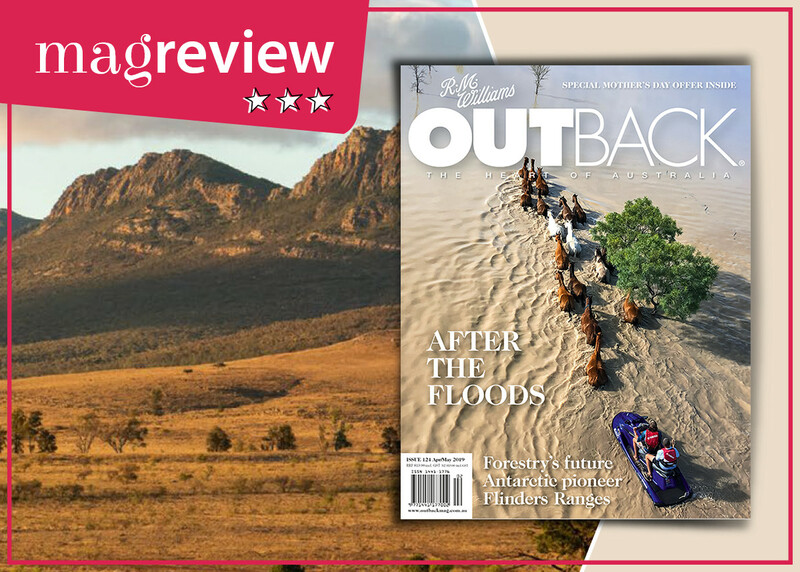 If you love our sunburnt country and land of sweeping plains then R.M.Williams’ OUTBACK magazine will cover the right terrain. OUTBACK is a focus on all things non-urban. Our ideas about country towns are often limited to their emptying main streets and the tyranny of distance. OUTBACK digs deeper than the usual drought stories and country clichés. This is real regional life from cattle to crops and races to rodeos. There are features on technology, ownership and agribusiness, profiles on stations and personalities and photo essays capturing some of the stunning life and landscape out there. Turn to the back for the crossword, events update and book reviews and maybe the best of all - the reader’s contributions, a real personalising of rural life. There’s poetry and pictures of bush kids, boots, bush weddings and dogs. OUTBACK is bi-monthly and in each issue there are also business, art, history and travel articles offering advice and info for those who are on the land and those who are interested in it. RM Williams is mostly famous for his shoes. What’s not so well known is that he set up a publishing company in the 1940s to chronicle bush life and issues. The editor of OUTBACK mag has said that ‘real wealth lies in people and relationships’ and you can see that he believes it in the stories that are featured. There is a tangible sense of community that comes through in these pages, not just the usual ideas of resilience and strength, but the emotional ties that hold people together when distances are vast and services are limited. Magfactor of a full tank of petrol for all the ks you’ll cover.